The largest supermoon in 69 years rose above Los Angeles this Monday evening. 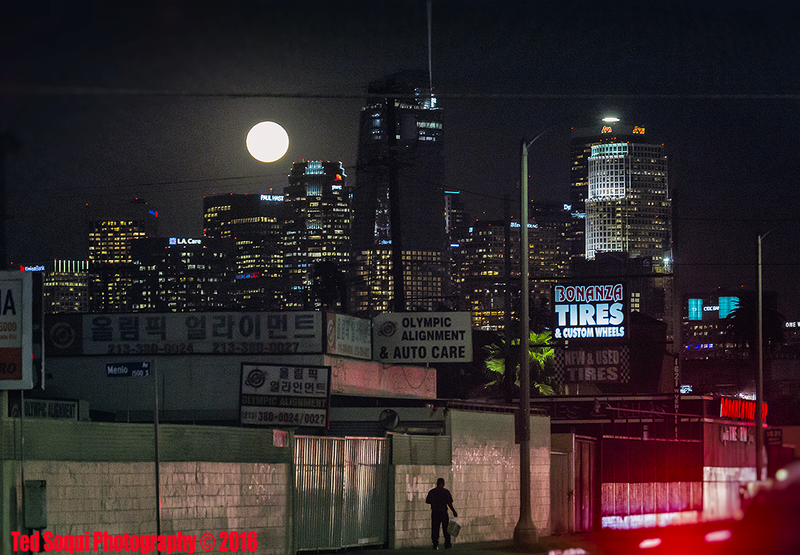 Was in downtown Los Angeles near a Salvadorean community, an old woman walked up to and said, "la Luna bonita!" Yes, it was a bonita moon. 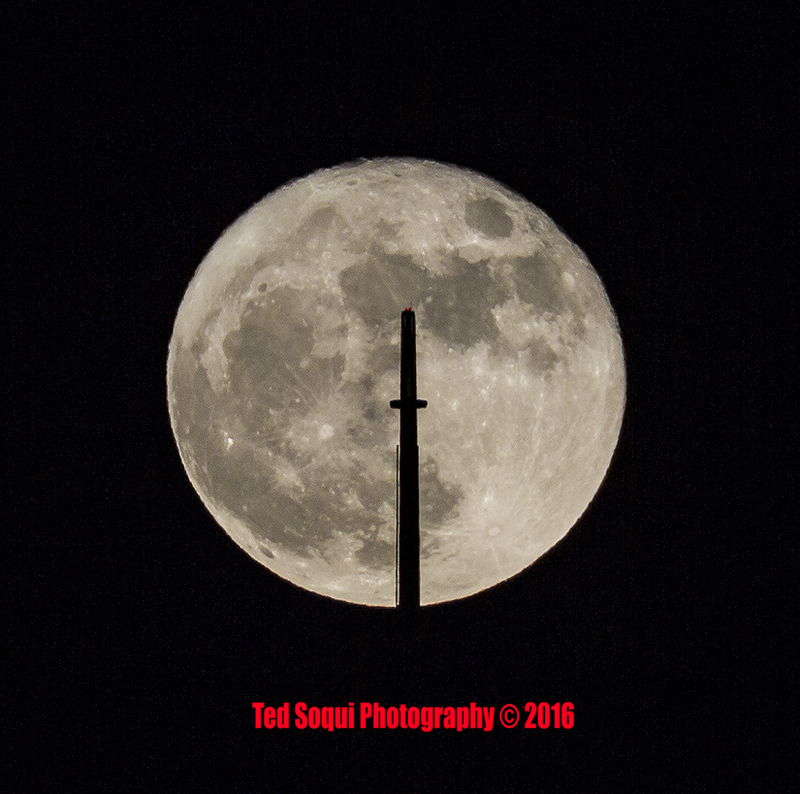 Supermoon over the Wilshire Grand spire (1099 foot tall).